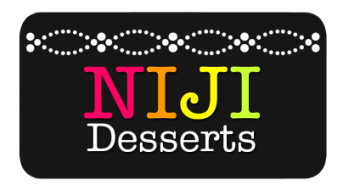 Niji Desserts' products are best eaten on the day you receive them since they're free of preservatives. Nonetheless, if you wish to keep them for longer storage here are some guidelines. Conditions vary in different environments so remember to use good judgement & vigilance. - Transfer products to an air tight container, refrigerate/freeze & keep for 3-4 days. - Transfer products to an air tight container, refrigerate & keep for 1-2 days. - Allow a suitable thawing period before consuming products straight out of the refrigerator. - It is not ideal to store fondant cakes in the refrigerator since it absorbs moisture which will affect the appearance of the cake. It won't affect the taste as much but feel free to strip the fondant of the cake before consuming it after refrigeration. Do not freeze fondant cakes. - Parfaits must be kept cold as much as possible. - You may choose to refrigerate it and consume it within 1-2 days or freeze it and consume within 1 week. Make sure that they are properly sealed or placed inside an air tight container. - Fondant and pastillage figures are not designed to be consumed and are created for decorative purposes only. They contain non-edible supports(dowels, straws, toothpicks. - If you wish to make fondant/pastillage/gumpaste figurines keepsakes, store them in a air tight container in a cool, dry place at room temperature. Make sure it is free of any icing/moisture otherwise it should be disposed.